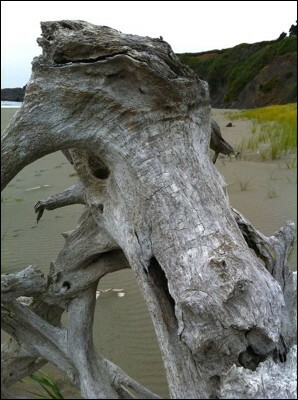 Wooden horse on a southern Oregon beach. Or a goat? Or a dragon's head?